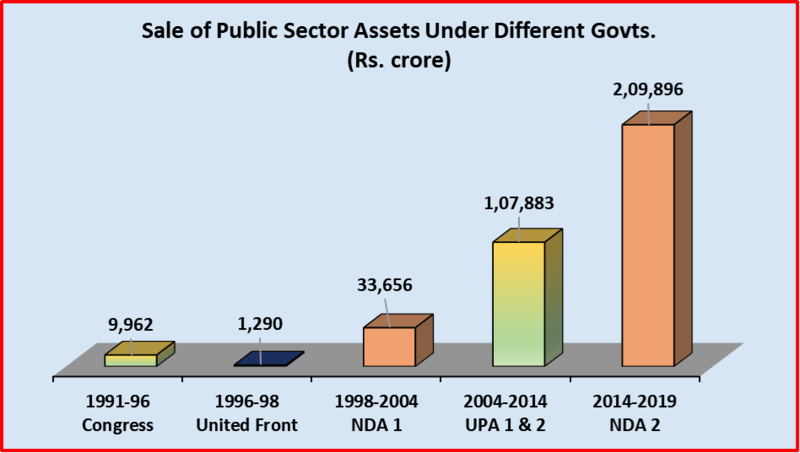 Over Rs 2 lakh crore worth PSU assets have been sold by the BJP government to dress its books, a staggering 58% of all disinvestment since 1991. If you add the disinvestment done by the Atal Bihari Vajpayee-led National Democratic Alliance-I government, the Bharatiya Janata Party (BJP) emerges as the champion in sale of national assets – a strange crown to wear for the saffron party which is given to much chest thumping and an aggressive ultra-nationalist stance. In the current year, however, things are not going too well for the BJP’s attempt at disinvestment. It had set up a target of selling off Rs 80,000 crore worth of public sector undertaking (PSU) assets but seven and a half months have passed and it has got only Rs 15,000-odd crore to show. 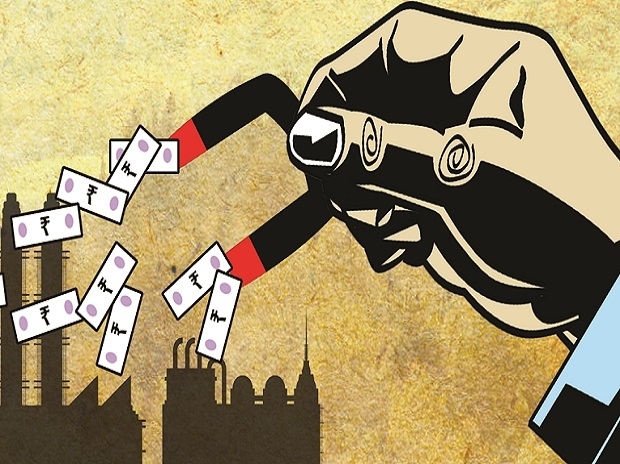 What’s happened is this: the political costs of PSU privatisation are too high with just months left for the general elections, and, in any case, nobody is interested in buying out PSUs at the present juncture with industry itself in the grips of a crisis. It should be noted that in the past four years, trade unions have fought a relentless war against privatisation of PSUs because it means loss of jobs, as well as erosion of sovereignty and self-reliance, which are issues closer to the hearts of workers than to saffron hued industrialists or political leaders. Clearly, this is weighing on the minds of BJP strategists. The failure of attempts to privatise Air India -- nobody turned up at the fire sale -- despite repeated sweetening of deals symbolises the current atmosphere for such deals. Meanwhile, the government has been facing another crisis – that of fiscal deficit. This, of course, is a ‘crisis’ only because of Modi’s commitment to the neo-liberal dogma, but still, for them it’s a crisis. So, piecemeal selling of public sector shares is the ‘innovative’ way found by Finance Minister Arun Jaitley & Co. to pad their books. For instance, in the current year, the government earned Rs 8,325 crore by selling BHEL shares on the Exchange Traded Funds (ETF) platform, and it sold 3.19% of Neyveli Coal Ltd (part of Coal India Ltd) through the Offer For Sale (OFS) route, earning Rs 5,218 crore. These are small divestments, but help Mr Jaitley to dress the books by providing him some resources to show in his last Budget of this term next February. In spite of these calisthenics, India’s finances are in a mess as is the economy – exports are down, credit growth is sluggish, industrial output is stagnant, capacity utilisation is dim. Worst of all, and politically the most incendiary, is the state of employment which is just not growing. So much so that the desperate Modi government has been pushing dodgy data to cover up for its colossal failure on the jobs front. In such circumstances, balancing the books by these disinvestment devices may please the International Monetary Fund and the World Bank, but it will hardly satisfy the people.